Let's sail the high seas together! 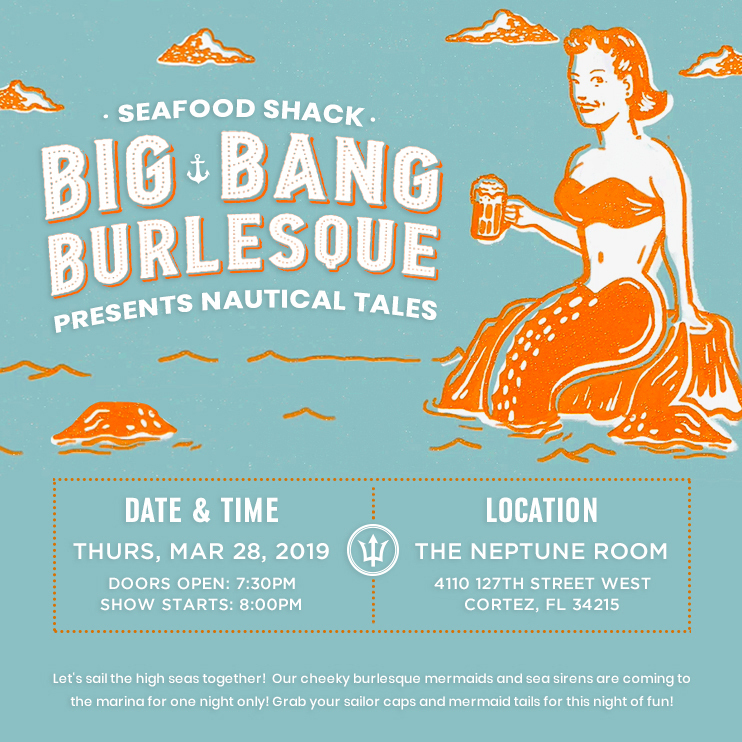 Our cheeky burlesque mermaids and sea sirens are coming to the Seafood Shack marina for one night only! 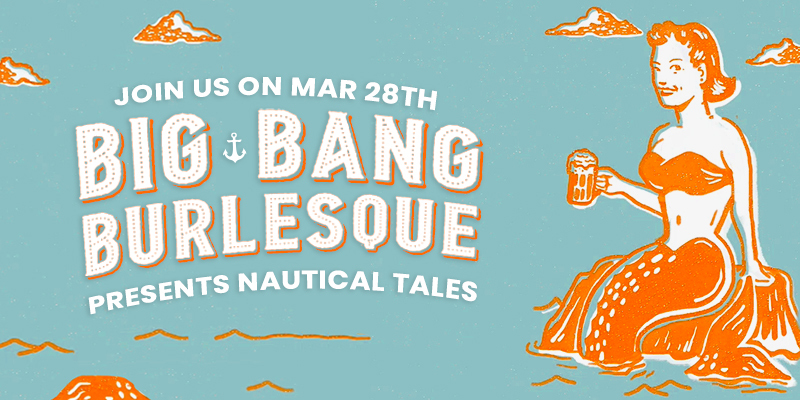 WHAT TO WEAR: Grab your sailor caps and mermaid tails for this night of fun! Arrive early to enjoy a nice dinner at the Seafood Shack downstairs or head on up to The Neptune Room to take advantage of the full liquor bar.